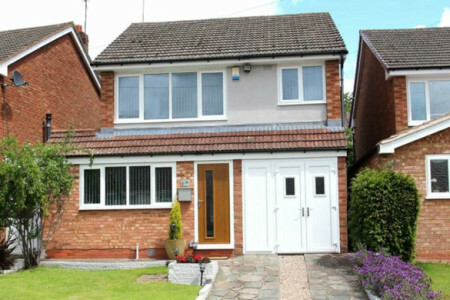 An extended much improved and well presented modern detached residence in a cul de sac location. Central heating and double glazing (as specified), hall with cloaks/store, refitted kitchen with integral appliances, utility passageway, good lounge, interconnecting dining area, three bedrooms (two with fitted furniture), refitted bathroom/wc with shower, integral garage and gardens. It is readily accessible to the Queen Elizabeth Medical Centre, Birmingham University and Harborne Leisure Centre, as well as excellent amenities around Harborne High Street and regular transport services to comprehensive leisure, entertainment and shopping facilities in the City Centre. The property is set back from the road behind a lawned foregarden with boundary wall, inset borders and side driveway. An internal inspection is essential and thoroughly recommended to fully appreciate the accommodation which comprises in more detail.